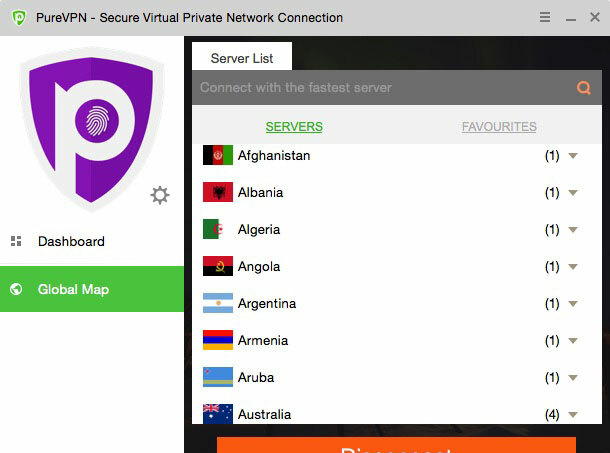 PureVPN is a feature rich VPN service with over a million users. Their success lies in high value, with an amazing 180 world wide server locations, unlimited Gigabit bandwidth and inexpensive pricing. But is it all that great? Here’s my take on their service. Device support: Amazon fire, Consoles, Chromecast, SmartTV, Roku, Routers, Computers, Smartphones, and more. PureVPN gives special discounts for 1 year or 6 month subscriptions. Making it one of the best valued and most reasonably priced VPN providers. Click here to see the current discount pricing policy. 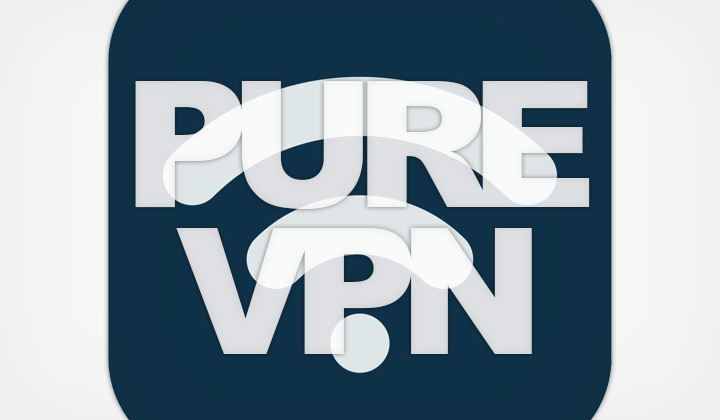 Pure VPN uses an AES 256 bit encryption algorithm which is the strongest key length possible, used by the US government. Suitable for those looking for highly secure web browsing and internet use. Self proclaimed “World’s fastest VPN service”, is a phrase we see a lot these days. But it’s not just talk, as speeds are potentially very high – up to 1Gbps (1000Mbps). While connection quality is most likely not to disappoint, the truth is that any such claim just depends on too many individual factors to be stated as fact. Another VPN provider could just as well be faster, not because of the fault of PureVPN, but because you might happen to have a connection that is better routed to another server you are connecting with. The “feature rich” connection client supports all major platforms (Mac OS X, Windows, iOS and Android). While it’s designed for easy use, I couldn’t agree less. The client forces to choose between four modes of connection, depending on use: “Stream”, “Unblock”, “Security / Privacy”, “File-Sharing”. Without any explanation as to how they actually differ and probably you won’t notice any big difference between any of them. I have attempted to contact PureVPN for an explanation what these options really mean, but they have ignored me. 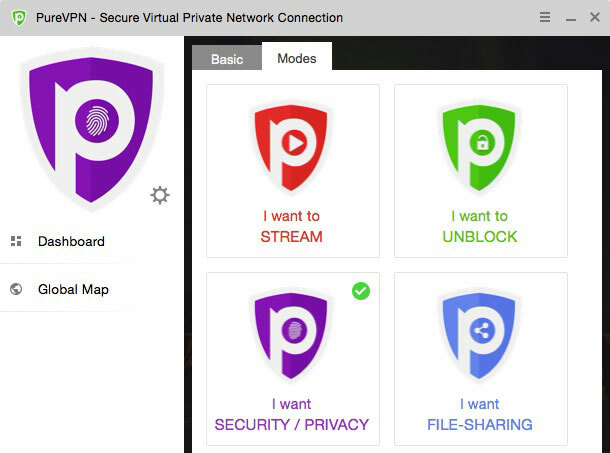 Either way, PureVPN is effective in unblocking video streaming websites with country restrictions, torrent file sharing, and getting a fast kick out of secure browsing. And there are plenty of connection methods and protocols that you can use (with a simpler one click interface, such as Tunnelblick). Within one all inclusive package, you get access to more than 500 servers, located in 141 countries. That, and five simultaneous connections so that you can get connected with all your devices and multiple desktops, and laptops. This feature is really the treat which makes enough reason to sign up for many. US, Canada, Bahamas, Jamaica, Mexico, Guatemala, El Salvador, Honduras, Nicaragua, Trinidad and Tobago, Grenada, Dominica, Barbados, St Lucia, Dominican Republic, Haiti, Turks and Caicos Island, Cayman Islands, Bermuda, Montserrat. Argentina, Brazil, Chile, Colombia, Ecuador, Peru, Bolivia, Paraguay, Suriname. UK, Albania, Austria, Belgium, Bulgaria, Croatia, Cyprus, Czech Republic, Denmark, Estonia, Finland, France, Germany, Greece, Hungary, Iceland, Ireland, Italy, Latvia, Liechtenstein, Lithuania, Luxembourg, Malta, Montenegro, Netherlands, Norway, Poland, Portugal, Romania, Russia, Serbia, Slovakia, Slovenia, Spain, Sweden, Switzerland, Turkey. Azerbaijan, Bangladesh, Bahrain, Brunei, Cambodia, China, Georgia, Hong Kong, India, Indonesia, Japan, Kazakhstan, Jordan, South Korea, Malaysia, Oman, Mongolia, Pakistan, Philippines, Qatar, Saudi Arabia, Singapore, Sri Lanka, Tajikistan, Taiwan, Thailand, Turkmenistan, UAE, Uzbekistan, Vietnam. Egypt, Ethiopia, Ghana, Kyrgyzstan, Madagascar, Mauritania, Kenya, Niger, Mauritius, Senegal, Nigeria, Tanzania, Tunisia, Seychelles, South Africa, Cape Verde. You need to give them private details, and they do store certain data about the time you are connected to each server. While internet use itself is not logged, simple meta-data can give a key to authorities to unlocking further details about your activities. And PureVPN has openly admitted, that they will give forth your personal or any other details if they see it as a necessary measure, requested by authorities. So despite mediocre privacy, I have to respect their relative openness to their policies. Also admitting that they are collecting data about people who browse their website, and storing it in third party platforms (such as Google). For me, it’s a “weight in” between privacy needs and the unbeatable amount of value for your money. Those who are serious about privacy, and anonymity might want to consider to take their business elsewhere. But for most ordinary VPN users this level of privacy protection seems to be sufficient. Real, dedicated privacy and anonymity does come with a cost! With security committed providers such as NordVPN you pay more, but you are in better hands with a companies that truly has privacy as it’s priority. Do let us know your experience with PureVPN in the comments. And I will be most happy to answer any questions. Thank you.